William Shakespeare Greenberg is not living up to his name. It's 1986, and instead of finishing his thesis on the Bard, this grad student is saying "yes" to drugs, bedding coeds, and delivering a giant psychedelic mushroom to a mysterious collector. Meanwhile, (or rather, back in 1582), would-be playwright William Shakespeare is an eighteen-year-old Latin teacher whose world is turned upside down when a stranger entrusts him with a sacred relic from Rome, drawing him into an underground network of Catholic dissidents. When the lives of Willie and William begin to eerily intertwine, their wild misadventures will shape not only the "Shakespeare" each is destined to become... but the course of history itself. First of all, I must warn you that this is an adult book. There are situations you may not want your teenager reading. This book was really great. 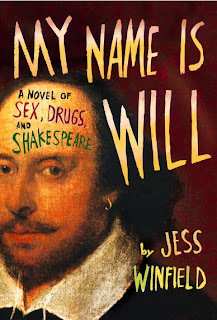 I enjoyed how the author used both the old and familiar story of William Shakespere, and collided it with a story of another Will Shakespere of a more modern time. It was quite suspenseful at times, and others I laughed out loud. All in all, if you are a fan of Shakespere, you will rather enjoy this selection. If you are not a fan, you may find the Old English text quite awful to read. The book itself, and the story of two inter-twined Wills, makes for an entertaining idea. I do think it was very well executed too! I highly recommend reading it!! Freda, glad you enjoyed my book, and thanks for the nice review! I just wanted to offer one clarification for your readers: there's actually no "Old English" to be afraid of. Old English is what Beowulf is written in; it's truly a different language from what we speak today, and very difficult to read. Chaucer's "Canterbury Tales" is Middle English -- also difficult. The snippets of Shakespeare in my book are technically "Early Modern English." If you can handle "Romeo and Juliet," you can handle my book! 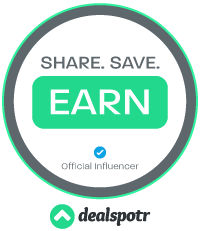 Thank you for commenting on my blog, and the praise for the review! It really was a great book! I deserved the reprimand on the term "Old English." I really wasn't sure of the proper term. Thank you for clarifying it.